← DC's Lenorable releases spooky new EP "The Prince"
Is "Awake" the drama NBC has been searching for? It’s been a while since I was legitimately excited about an NBC drama – five years, to be exact (2007, the year of Journeyman and The Black Donnelleys). As can be expected from the fourth place network, the post-ER years have found NBC scrambling with half-baked concepts and lame rip-offs; even when they had a possible hit, they ended up fumbling the ball (Friday Night Lights, Southland). So imagine my surprise when NBC revealed an intriguing drama during upfronts last May. Even more surprising is that it’s a network crime drama, a genre I usually eschew. Yes, Awake is a(nother) crime procedural, but with a captivating high-concept that doesn’t rely on gimmicky quirks. Instead, it borrows from dream-reality mindfuck Inception. 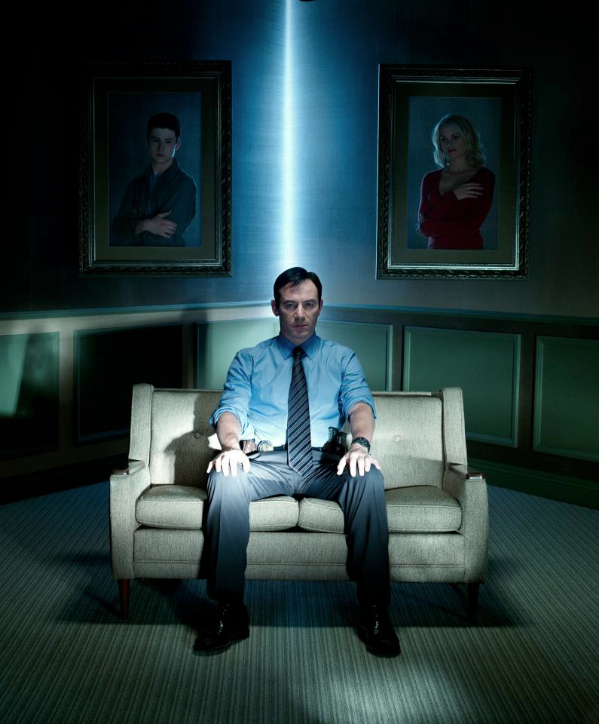 Before the show starts, Detective Michael Britten (Jason Isaacs) is in a terrible car accident with his wife and son, and his life becomes a series of waking dreams: in one, his wife survives, and in the other, his son does. Despite talking with two department-mandated psychologists, he can’t tell which outcome is reality. To help, Michael uses a different color wristband to signify which of his family members is alive. To help the audience, Awake imbues each with a separate color tone, a la Traffic. As in Brotherhood, Isaacs is great as a distant yet precise operator who struggles with personal connections. The duality ripples through Michael’s professional life, as well. In one reality, he’s still paired with his longtime partner (Steve Harris of The Practice); in the other, he’s assigned a partner/babysitter in Wilmer Valderrama‘s Efrem Vega. But the realities are not separate entities – they’re starting to bleed over. Efrem is just a beat cop in the first reality, and clues and signifiers from one case appear in the other. In the pilot, it takes a few scenes for the viewer to keep things straight: who’s alive, which case is this, where did this clue come from, and so on. But the confusion actually helps the viewer identify with Michael’s plight, as he’s having difficultly doing the same. Here’s hoping that audiences are willing to labor through the complexity. As NBC is learning, the easy path is rarely the best. Awake premieres on Thursday, March 1 at 10PM, but NBC is streaming the entire pilot on Youtube. This entry was posted in TV and tagged awake, crime, drama, NBC. Bookmark the permalink.